Join us at our next no-obligation informational meeting! There are more than 1,000 youth in foster care right here in Santa Clara County. They are in need of caring homes where they can grow and thrive. When a child is unable to remain with their birth family, we know that the next best thing is a loving and stable foster home. Being in a family setting provides foster youth with the support critical to their emotional and social development. It also helps them do better in school, as foster youth are often forced to change schools with every new placement. Foster youth need caring adults in their lives to help them build self-confidence and learn about healthy relationships. 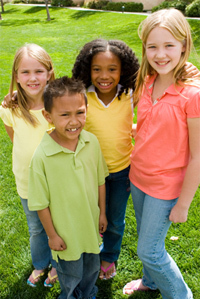 Bill Wilson Center is a licensed foster care agency serving Santa Clara County. We connect foster youth to stable, caring, foster homes. Foster homes are intended to provide short or long term care while the child prepares for permanency, which means either their return to appropriate, stable birth family members, placement into an adoptive family, or adoption by the foster family. It’s very rare that a new foster family comes to us without any reservations about fostering a child. There are often a lot of questions about the process and concerns about how each child has fared due to the difficult circumstances causing them to be placed in the foster care system. These are all things we are happy to discuss with any interested parties in a one-on-one setting, or at one of our monthly no-obligation informational meetings, which are held on the first Thursday of the month at our San Jose office. You can truly make a life-changing difference in the life of a child by opening your home and your heart to a foster child. Contact our Foster Care Coordinator at (408) 278-2596 or inquiries@billwilsoncenter.org with any questions or to arrange a no-obligation informational meeting.